With a brilliant line-up in store, featuring many of the North East’s top acts, Newcastle’s hottest and funkiest choir (that would be us!) are thrilled to join loads of fantastic artists in performing at this year’s North East Chilli Festival. 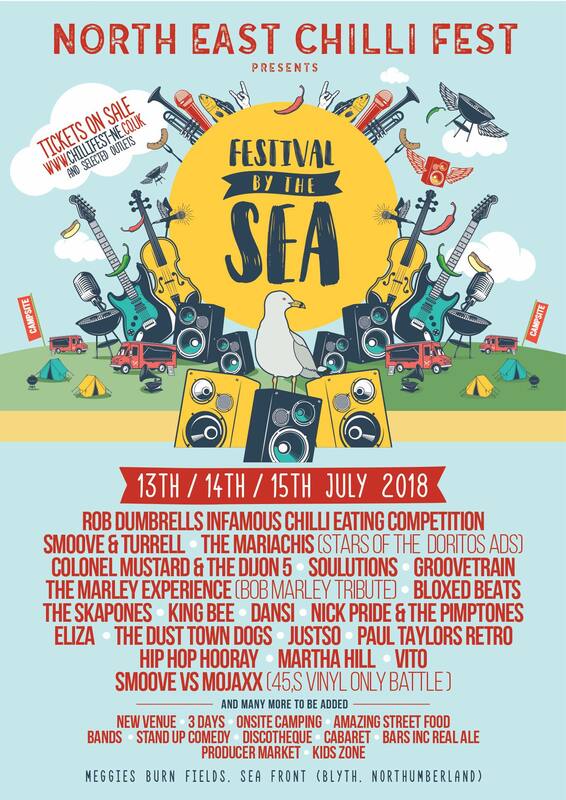 Featuring the likes of top soul act Smoove & Turrell, an amazing weekend lies in store and we’re thrilled to take to the main stage on the Sunday afternoon, around 1pm. And with the festival being situated directly across from a stretch of the stunning Northumberland coastline, it’s sure to be the ideal way to spend a Sunday this summer.